Convert Video to RMVB, AVI to RMVB, MP4 to RMVB. RMVB Video Converter, is powerful, versatile video converter software. Include functions of RMVB to any video converter, it can convert RMVB to DVD, convert RMVB to FLV, convert RMVB to AVI, convert RMVB to WMV, convert RMVB to MPEG. It is an all-in-one RMVB video converter to convert both rm and RMVB video formats to iPod, PSP, 3GP, MP4 video/movie. It supports most of popular video formats, such as DivX, XviD, MPEG, MOV, QT, VOB, 3GP, WMV, ASF, or AVI, etc. Those features make RMVB Converter the best solution to share your favorite video on iPod, PSP, iPhone, or other portable video device. * The output video from RM/RMVB/RealMedia to VCD/DVD Converter is MPG format which is the material used for burning. 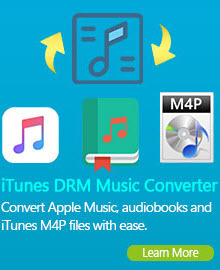 RMVB Video Converter provides optimized settings for portable players. Thus, you don't have to figure out what is the right video format or video resolution for your iPod/iPhone or other portable player. It's very convenient and easy to convert RMVB videos to the most popular multimedia devices such as PS3, Xbox 360 and Apple TV, and enjoy the videos on the go. With RMVB Video Converter, you can convert RMVB videos to the following PMPs. Besides the above portable media devices, you can also convert RMVB videos to the latest iPad, Zune HD Platinum, etc.. Click here to learn more about supported PMPs. 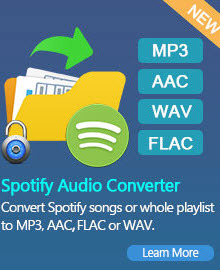 Why Choose RMVB Video Converter? 2) User-friendly UI with "easy" procedures. 3) Support batch files conversion. 4) Specifies start and end position while convert. 5) Support large video files, even larger than 2GB. 6) Select to automatically shut down your PC after conversion. 7) No Technical Knowledge Required. 8) Lifetime FREE Technical Support and FREE upgrade Free trial download.